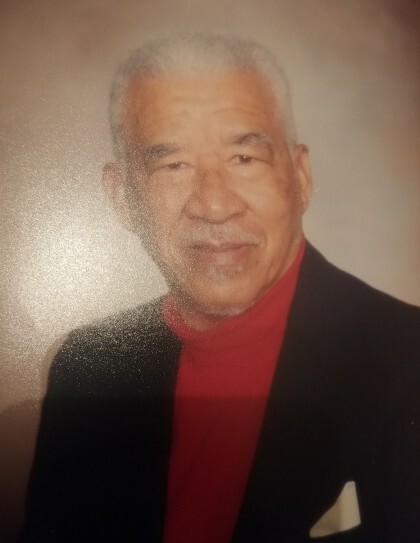 Mr. Charles Frederick Ortique, age 90, passed away on April 4, 2019, in Houston, Texas. He was born in New Orleans, Louisiana. Mr. Ortique was educated in the public schools of New Orleans. After graduating High School at age 16, he earned a Bachelor’s Degree in History from Dillard University. While at Dillard, he became a proud member of Omega Psi Phi Fraternity, Inc.
After honorably serving his country in the United States Army, Mr. Ortique continued his education, earning a Master’s Degree in Labor and Industrial Relations at the University of Illinois Champaign-Urbana. There he met and later married the love of his life, Valjean. Mr. Ortique was employed as a Supervisory Field Examiner with the National Labor Relations Board until his retirement. In addition to being civically, politically, and socially active in his community, Charles was an ardent supporter of the Arts. An accomplished historian, with special expertise in Black History. He enjoyed debate, playing chess, gardening, listening to good music and spending time with his family especially the grandchildren. He was preceded in death by his parents, Revius and Lillie Ortique; his wife of over 40 years, Valjean, two brothers, Honorable Revius O. Ortique Jr., and Calvin J. Ortique; a sister, Althea Watson and cherished daughter, Althea Ortique Mitchell. He leaves to cherish his memories, two sisters-in-law, Miriam Ortique of New Orleans and Ruth Ortique of Hartford, Connecticut, three daughters, Denise (Kenneth) Taylor of Chicago, Illinois, Carla F. (Honorable Morris L. Overstreet) Ortique and Valerie (Brian) Barnett of Houston, six grandchildren, Sean Mitchell, Allison Mitchell, Kristopher Taylor, Julian Taylor, Branden Taylor; and Janelle Barnett, six great-grandchildren, two special cousins, Janice (Charles) Bevrotte and Mildred Davis, and several adoring nieces and nephews and a host of friends. Final arrangements have been entrusted to Warford Walker Mortuary of Amarillo, Texas, McCoy and Harrison Funeral Home of Houston, Texas and Taylor Funeral Home of Chicago, Illinois.